Home | Collectibles | OYO SALE! ONLY $4 EACH! | OYO SALE! 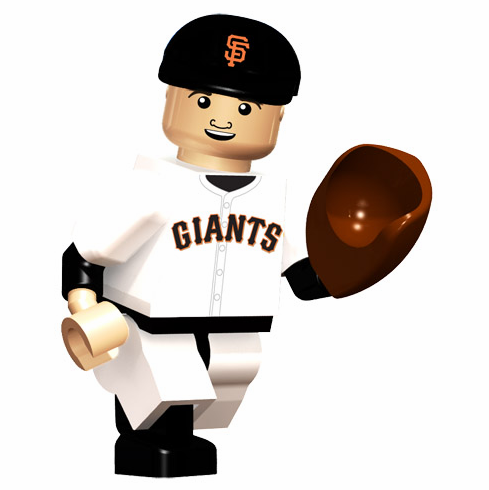 Tim Lincecum - San Francisco Giants Generation One OYO Mini Figure! Part of the first series of OYO ever offered. This will surely be a collector's item. Don't miss out! Ellsbury comes in his own storage case with a special package design made to fit in your pocket. Each figure comes with a Boston Cap, bat, glove, ball, stand, and unique OYO DNA number. New! Officially licensed building-toy figures of your favorite MLB player with rotating arms, bending knees, and player likeliness. Compatible with most other brand name building toys. Collect. Build. Play. Collect your favorite players. It's like a 3-D baseball card!